When I started my bootcamp classes in January, I made a major miscalculation with the time! The classes happen to run right through lunch time, from 12 to 12:50 to be precise. Now that is an awkward time. You can’t really eat a rich lunch before or you may have trouble keeping up in the class (I am already in trouble with that). You also don’t really want to eat a full lunch after because you will mess up with your dinner with the family. Kind of a headache! Since I don’t like quitting on things, I figured I just needed to find the right healthy food idea that will help me solve the problem. And I FOUND IT. 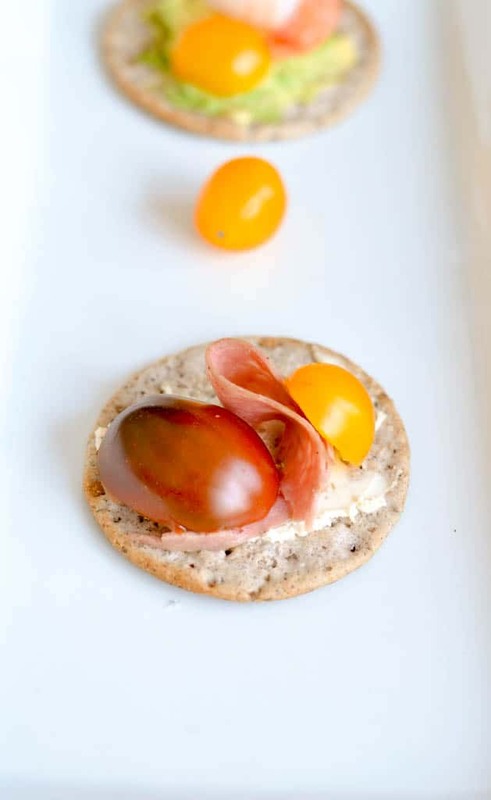 I made this delicious, easy and healthy snack on the go. I am not crazy, you really can have it all! I made it in a few minutes, ate it in seconds (well almost because they were sooo good). My secret ingredient for this snack: Breton Bean Crackers. Breton provided me with Breton Bean crackers and Breton Popped! Beans cracker chips. I have to tell you this, they are JUST DELICIOUS and healthy too. I had to stop myself from eating them just BARE. They are made with beans (the #1 ingredient!) and are certified gluten free by the Canadian Celiac Association. Isn’t it a win-win situation? The Breton Bean crackers carry new flavours: Breton White Bean with Salt & Pepper and Breton Black Bean with Onion & Garlic. I like that they have 3g fibre and 2g protein per serving. The Breton Popped! Beans cracker chips carry the following new flavours : Breton Popped! Beans Sea Salt & Pepper and Breton Popped! Beans Sweet Chili Cheddar. I like that they are made with a blend of chickpeas and red beans. They are filling just as is. Get out and try these new gluten-free crackers! Visit the Dare Foods website or like Breton on Facebook for more product info or recipe ideas! Now let me delight you with the recipe I made with one of the flavours. I used the Breton Black Bean with Onion & Garlic because the box had a recipe that caught my eye: Baja shrimp. The recipe called for guacamole, mango and shrimps. I did not have all the ingredients on hand so I tweaked it a bit. Don’t they look delicious and so easy? I am thrilled to have found the perfect on-the-go snack option to give me fuel for my bootcamp classes without weighing me down! Want to learn more about all the great ways to enjoy Breton crackers? Visit sheblogs Canada to RSVP for the #BretonBean Twitter party and check out the upcoming contests on Instagram and Twitter where you could win cash prizes and Dare Foods products! Don’t forget to check out the Dare Foods website for more fun recipes! 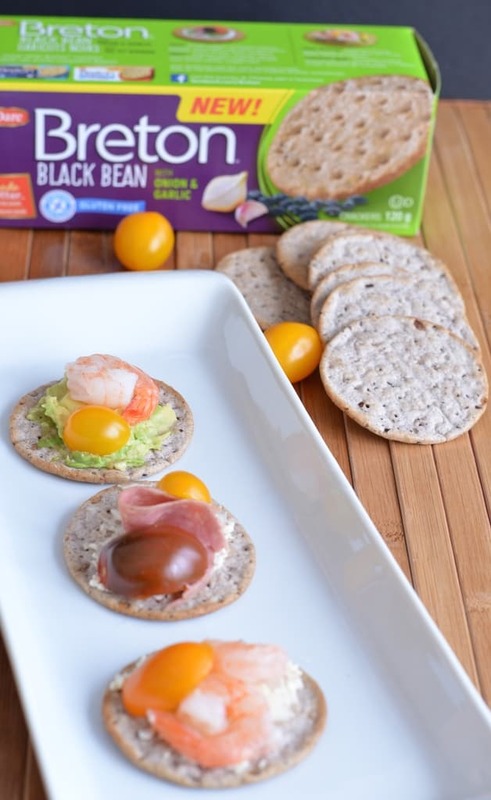 What would you put on your Breton Bean crackers? Tell me in the comments! Although this post has been generously sponsored by Dare Foods Limited, the opinions and language are my own, and in no way do they reflect Dare Foods Limited. 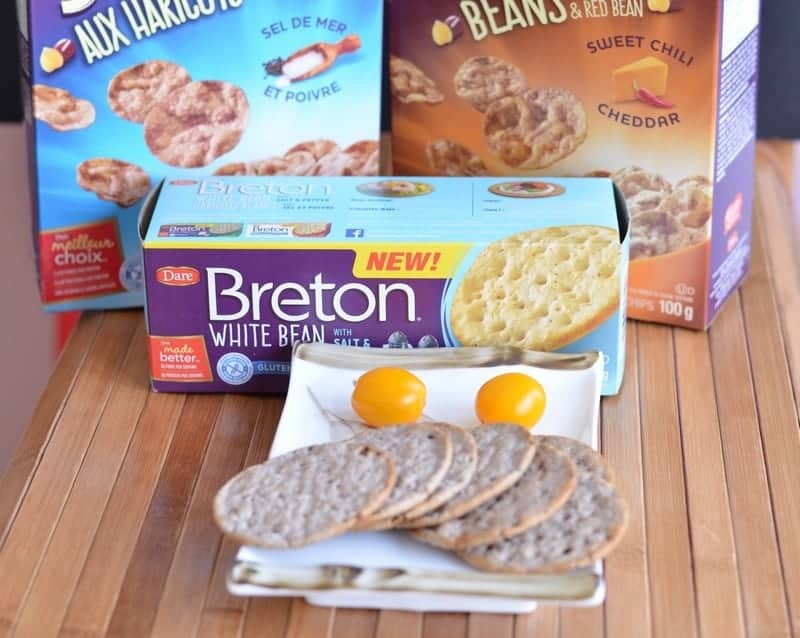 We’ve always enjoyed Breton crackers and looking forward to trying the new bean version, thx for your review & awesome recipe ideas! 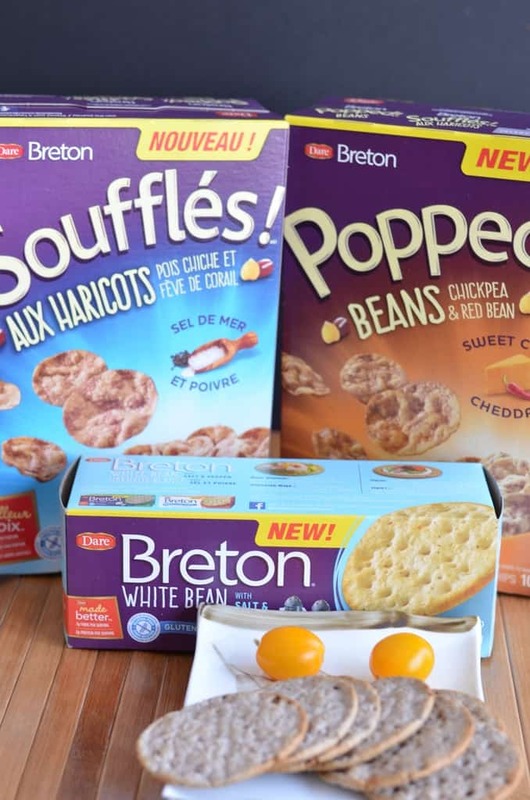 I like Breton crackers and these new bean versions sound tasty too! I will have to look for these the next time I need crackers. I love them as a snack but not always the calorie count. I do like that these crackers have 3g fibre and 2g protein per serving. Thank you for your review and recipe ideas. Breton looks like an awesome product! These snacks look great! You could totally make use of this recipe / snack even on certain parties and events, awesome. I love Bretton Popped Crackers, but I had no idea they made bean crackers! I’ve got to find these, they look delicious and healthy, too! I haven’t seen their bean crackers before – i’ll have to look out for them. Those look like some great crackers. I can imagine a lot of things being put on them. These crackers look wonderful! I cannot wait to try them out. Your recipe looks lovely too. This is a great snack because it offers portion control. I love enjoing crackers and cheese from time to time. Those cracker bites are perfect for snacking. I am loving the one with shrimp on it. This sounds like a great snack. These sound like great crackers, will have to try and find some next time I am out shopping and give them a try. These crackers are so good and the recipe you made with them is a definite must-try! I’ll be keeping my eyes open for this brand – I haven’t seen it before! Your snacks look amazing! Those definitely would hit the spot for me. Combined with my favorite cheese and I would be satisfied until my next meal. Yum! I have the munchies right now and these look soo good! My kids would scarf those crackers down in a heartbeat. They love crackers and I like that they are healthy. 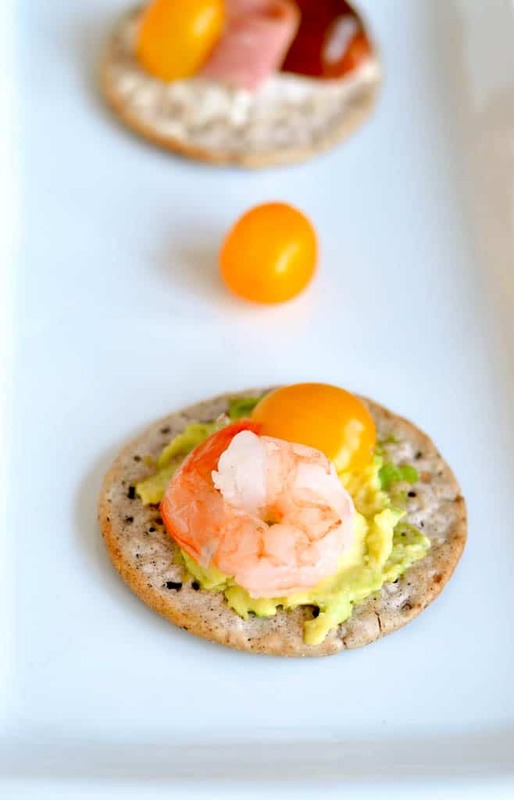 This looks like a great healthy snack or appetizer. I love tomatoes. These crackers look really yummy for snacks and appetizers. I would most likely put peanut butter and jelly or simply ham and cheese on my cracker. Love snacks like this. These crackers look so delicious! I cannot wait to try them out. What an awesome idea!!! We love putting avocado or low fat cream cheese on our crackers. Love Breton crackers too! I’m so going to try this for snacks, Thank you! What a great snack Breton crackers are so good, we love them at our place so this would be perfect! That looks like a delicious treat. I will have to check out these crackers. The shrimp/avocado snacks would be great for us. That combination sounds really nice. I need to try those crackers now. I like that shrimp app. I love crackers and anything! Oh, I have GOT to get these for J – he’s a crazy cracker kid, and I would LOVE to replace his snack crackers with a healthy substitute. That sounds like an awesome snack to me. I am going to have to try that. Do You Believe Every Bullying Story? When Can I Get A Prenatal Massage?